A multi-million pound investment is proposed for Llangollen which will secure and create more than 200 jobs. 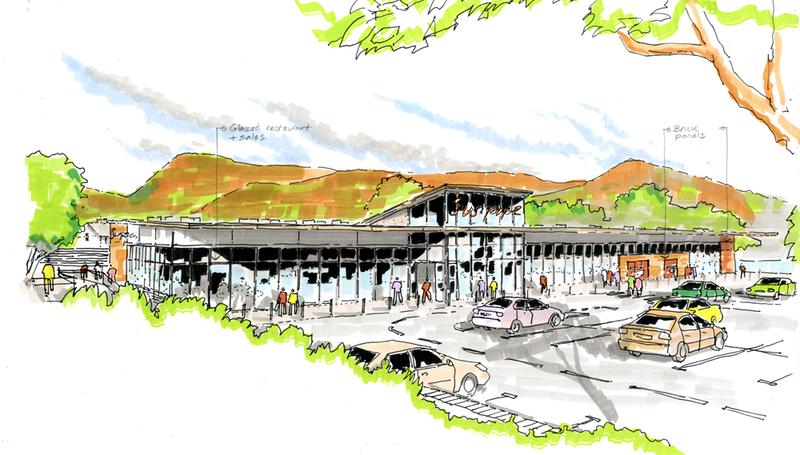 The proposals involve relocating Dobson and Crowther, Llangollen’s largest employer, to a new purpose-built premises in Llangollen, a move which would be facilitated by the development of their existing site for a new medium sized supermarket and shopper car park, serving the town. Dobson and Crowther identified the need to move to new premises, which will help the company secure the 110 jobs that the business currently provides. Their existing building is no longer fit for purpose and is very inefficient and costly to run. The proposal to relocate “down the road” to the designated employment site beside the A5 at Cilmedw, will allow the company to design a new 45,000 sq ft purpose-built facility around modern manufacturing requirements helping the business to operate more competitively and it will also benefit the environment as the new building would be highly energy efficient. “The move represents a significant investment in Dobson and Crowther, which will help safeguard the jobs of our 110 loyal staff and in due course allow us to further develop and grow the business perhaps leading to greater employment for the area,” says Dobson and Crowther’s managing director Paul Holden. Dobson and Crowther’s proposed relocation would be funded by the construction of a new 20,000 sq ft net supermarket on their existing site, which would create around 130 new jobs. The new store would be carefully designed to fit in with the riverside setting and provide around 221 shopper car parking spaces with a pedestrian link to the town centre via the riverside walkway. The plans include a range of environmental features to reduce the store’s carbon footprint, including a biomass boiler and grey water recycling along with community benefits such as recycling banks on site. It is anticipated that the store would reduce the amount of convenience retail expenditure being spent outside Llangollen. Denbighshire Council’s recent retail study confirms that around 63 pence in every £1 of expenditure goes out of Llangollen, with the majority of local people going to supermarkets in Wrexham at least 13 miles away for their weekly food shop.